JERSEYVILLE - Mary Jo Thurston, 83, died at 4:22 p.m., Sunday, March 24, 2019 at Jerseyville Manor Nursing Home in Jerseyville. She was born in Alton, Il., on August 7, 1935 and was one of four children born to Wayne and Dorothy (Knight) Burns. Mary Jo graduated from Marquette Catholic High School in Alton, and attended the St. Francis College of Nursing in Peoria, Il, where she earned her licensure as a Registered Nurse. She was a dedicated, thorough and compassionate nurse, and her exemplary 53 year career touched many lives. 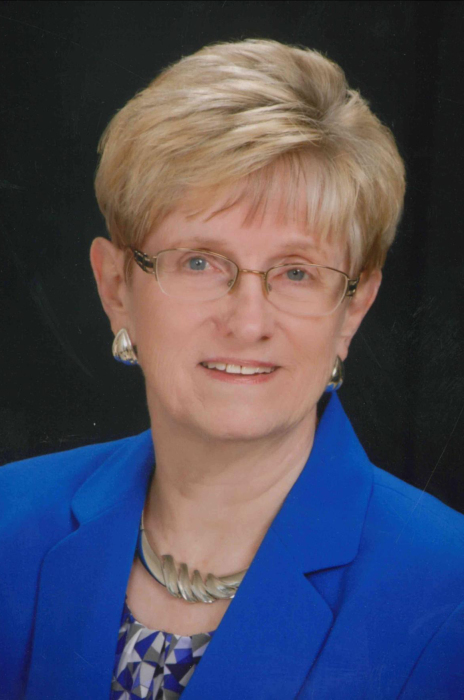 She began her career at St. Joseph's Hospital in Alton for just a few years, before moving on to Jersey Community Hospital in Jerseyville, where she worked for many years. Later in her career, she joined the Jersey County Health Department, where she would finish her career. Mary Jo took great pride in her profession, and was eager to assist the younger generation in preparation for their chosen career. In her spare time, she had varied interests, all of which, she excelled. As a member of the St. Francis Xavier Catholic Church in Jerseyville, she participated, and enjoyed her time with the Church Choir. Her life was blessed with many friends, and she and John were able to live life to the fullest. They enjoyed camping, touring coast to coast. The typical weekend for She and John was locating a venue to dance, and did she love to dance. She was well known for her graceful dance moves, and she enjoyed it to the fullest. She was also very active in her community, and was particularly proud of her involvement with the Jerseyville Sesquicentennial in 1989. She married John David Thurston on July 12, 1958 at the St. Mary's Catholic Church in Alton, and their nearly 61 year marriage has been blessed with much happiness and a family that she cherished. Surviving are her husband, John Thurston of Jerseyville; two daughters and sons in-law, Julie and Steve Fry of Jerseyville and Kathleen and Mark Means of Pueblo West, Co.; five grandchildren and their spouses, Brad and Suzanne Fry of Long Beach, Ca., David and Emily Fry of Jerseyville, Matthew and Robin Wilson of Fort Collins, Co., Liz and Mike Springman and Justin and Apryl Means, all of Godfrey; nine great grandchildren; a brother and sister in-law, Dr. John and Gabrielle Burns of Boerne, Tx. ; and a sister and brother in-law, Dorothy and Frank Pohlman of Rosewood Heights. In addition to her parents, she was preceded in death by a sister and brother in-law, Nancy and Ronald Savitch. Visitation will be from 4 to 7 p.m. Thursday at the Crawford Funeral Home in Jerseyville. A Mass of Christian Burial will take place at 10 a.m. Friday at the St. Francis Xavier Catholic Church in Jerseyville, with Father Martin Smith officiating. Memorials may be given to the St. Francis/Holy Ghost Catholic Schools of Jerseyville, or to the District 100 Foundation, which would be used assist students pursuing a nursing career. Mary Jo's family would like to sincerely thank the staff at Jerseyville Manor Nursing Home for the exceptional and loving care that was given to her and to her family. They appreciated the respect and dignity shown to their Wife and Mom.